We all know that wine and music go together. Yet very few events seem to combine the two in a relaxed environment. 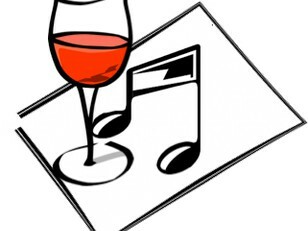 Wine Music Jam aims to encourage the day-to-day enjoyment of good but affordable wines in a no nonsense manner and at the same time provide an affordable venue for amateur musicians to perform in a friendly setting. This is a platform where the 'ordinary man on the street' can learn about, appreciate and enjoy wine and share music with friends whether as musician or audience. Wine: Refreshing German and Italian wines fit for hot Hong Kong summer. Friendly wine experts will be on hand to help you explore. Wines served in tasting portion sizes so you can try more wines. Food and non-alcoholic drinks available for purchase at the bar. No food and beverages may be brought from outside. Music lovers: This is your chance to perform on stage in a relaxed environment, either solo or in a group. All styles and abilities welcome. Book your slot now using the performance booking form. In the intervals between slots, go and explore the wines. Maximum THREE songs per slot. Keyboard, drum set, amplifiers, microphones and music stands will be provided. Please bring your other instruments. A professional sound technician will look after the mixing. The floor is open for jamming in the first and last 30 minutes (3:00-3:30 and 7:30-8:00) on a first come first served basis. No booking required. 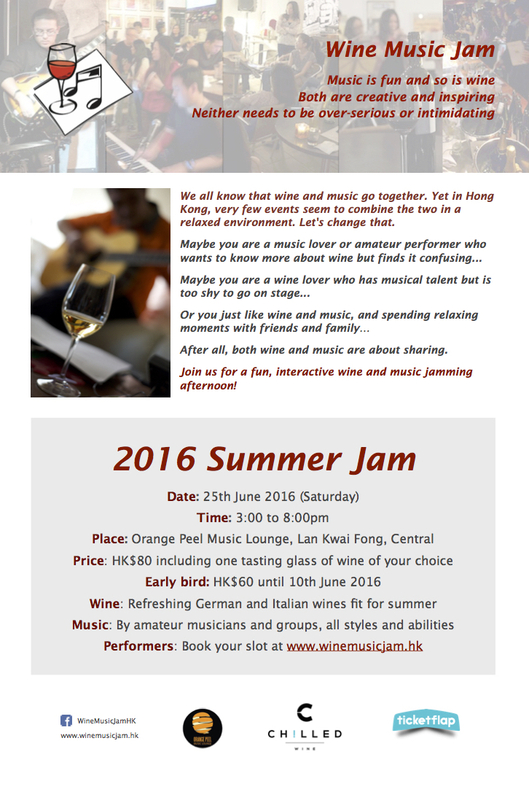 Wine lovers: Spend your afternoon with your favourite drink, enjoying the music. If you suddenly feel the urge to sing or play, talk to one of the musicians. You may well be the next one in the limelight! Bring your wine and music loving friends/fans along!